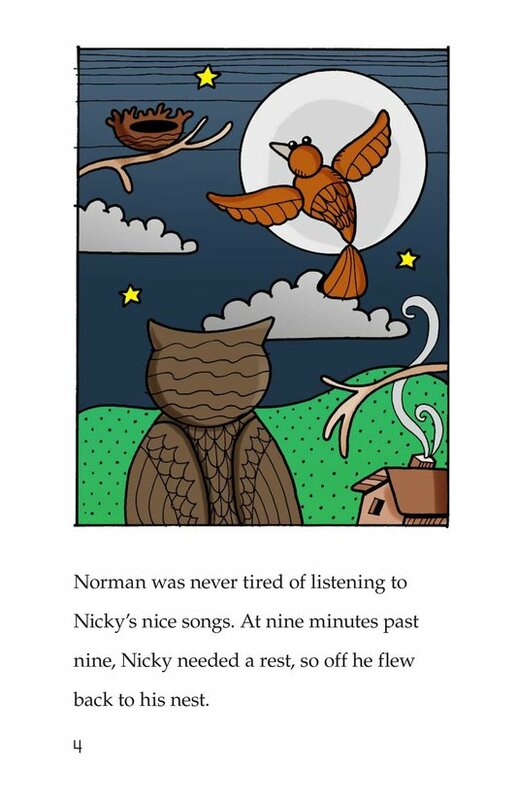 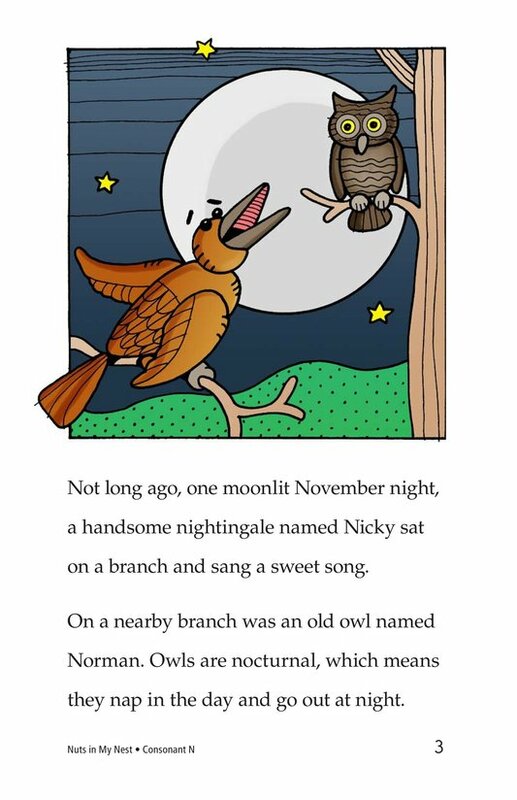 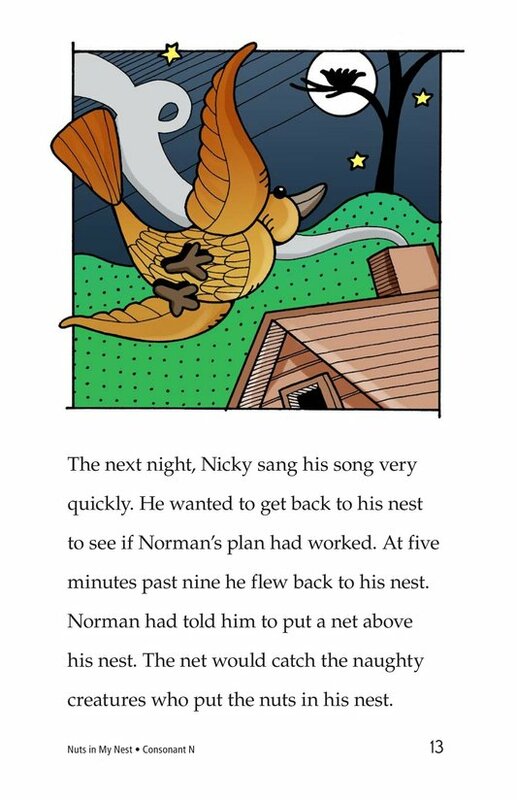 Someone is playing a trick on Nicky the Nightingale. 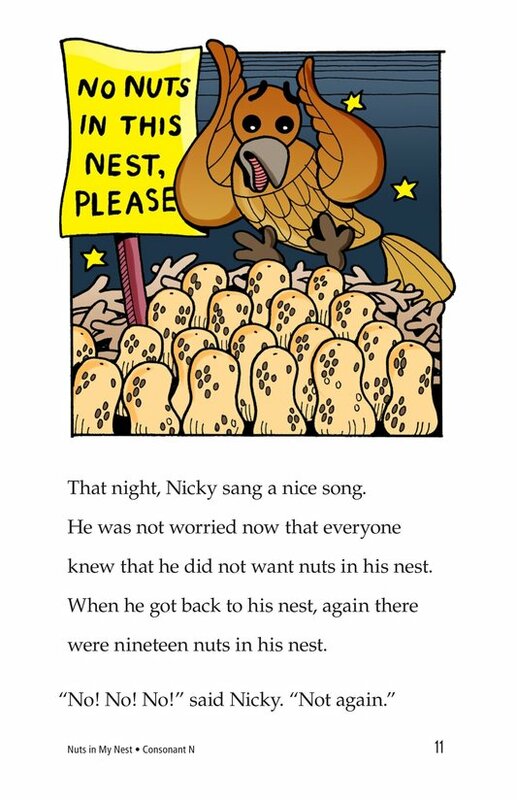 When he returns from an evening of singing, Nicky has nuts in his nest. 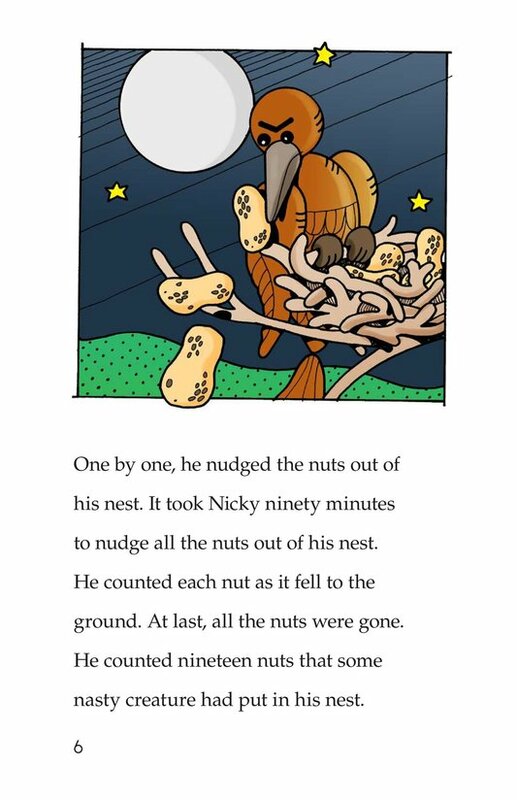 He cannot go to bed until he has cleaned out all of the nuts. 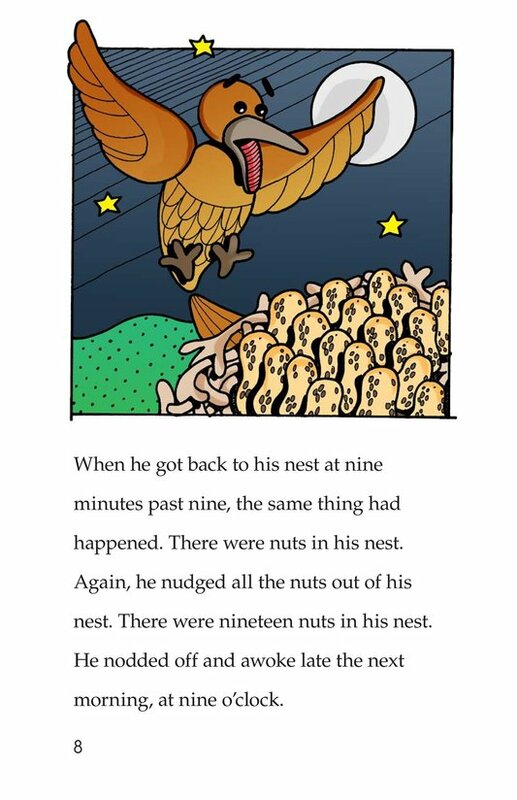 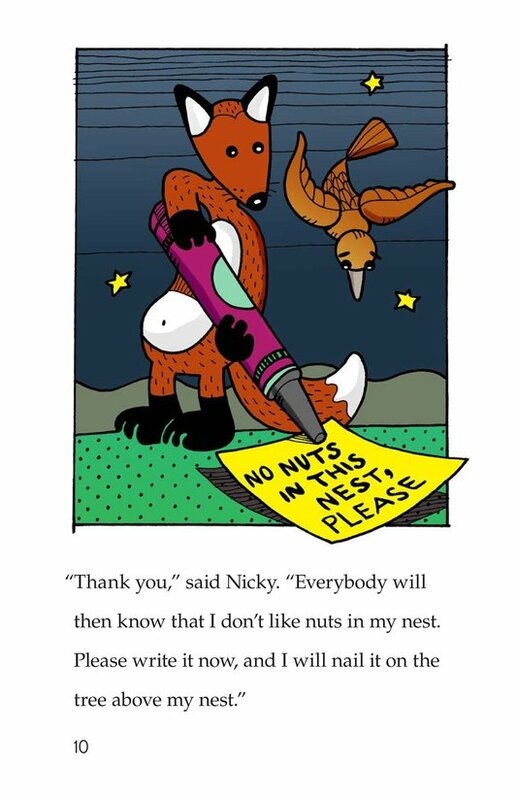 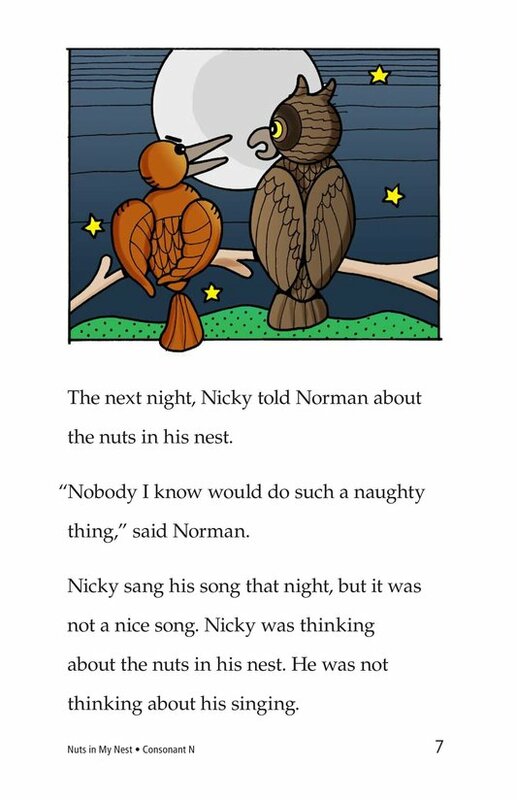 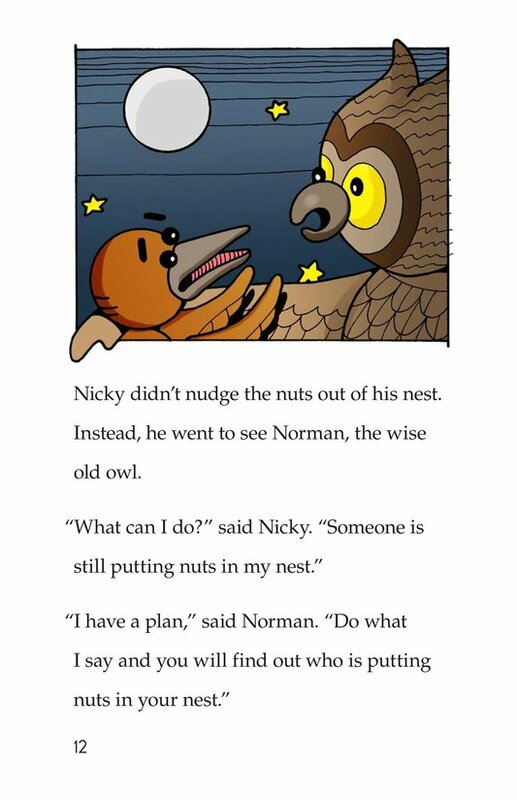 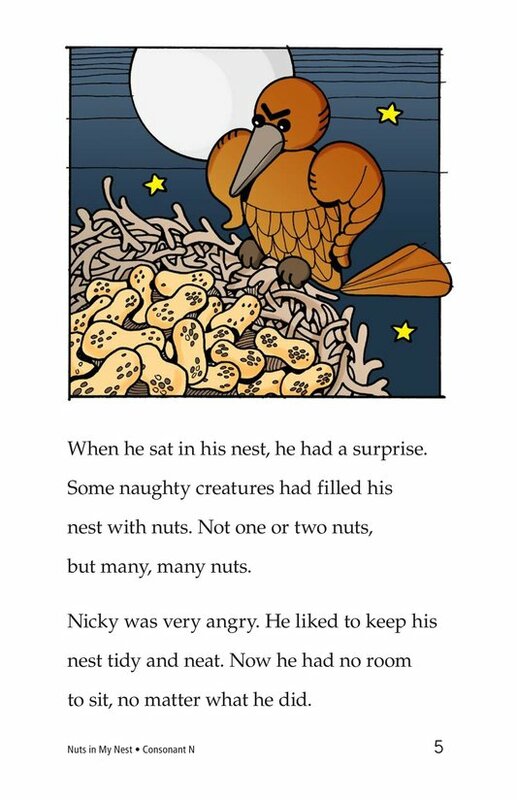 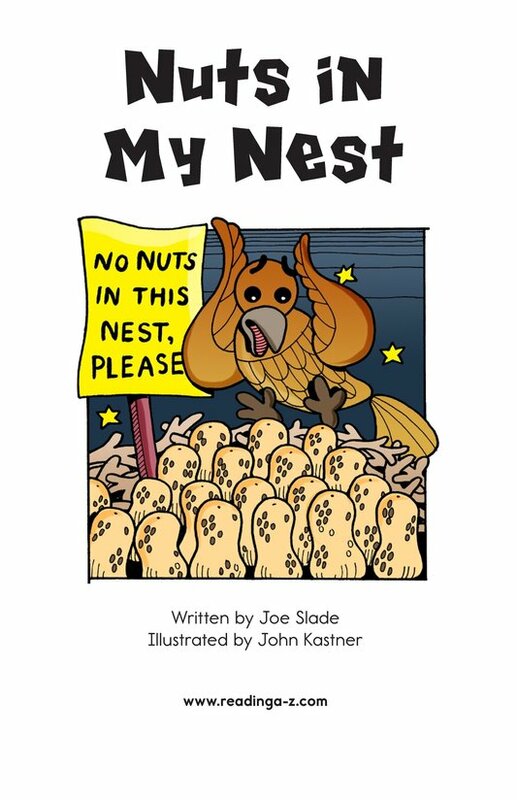 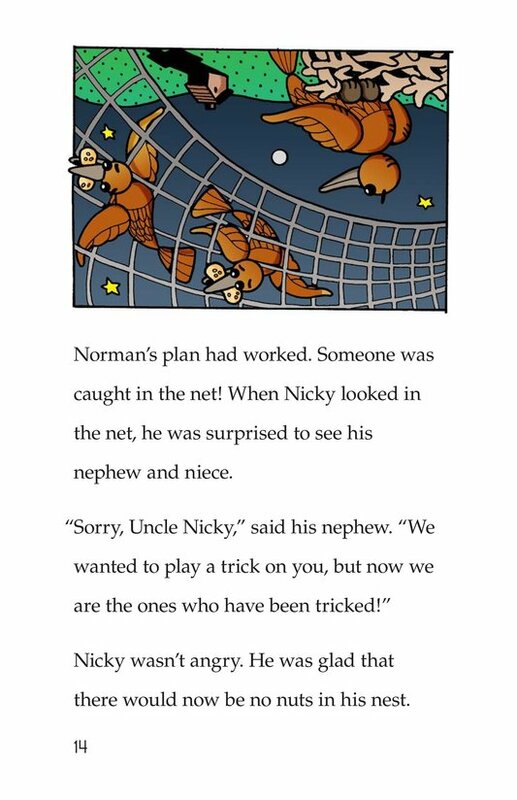 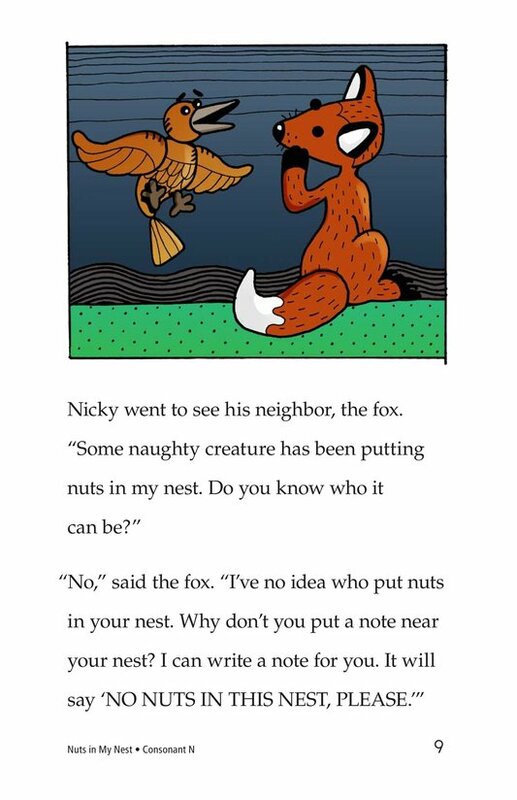 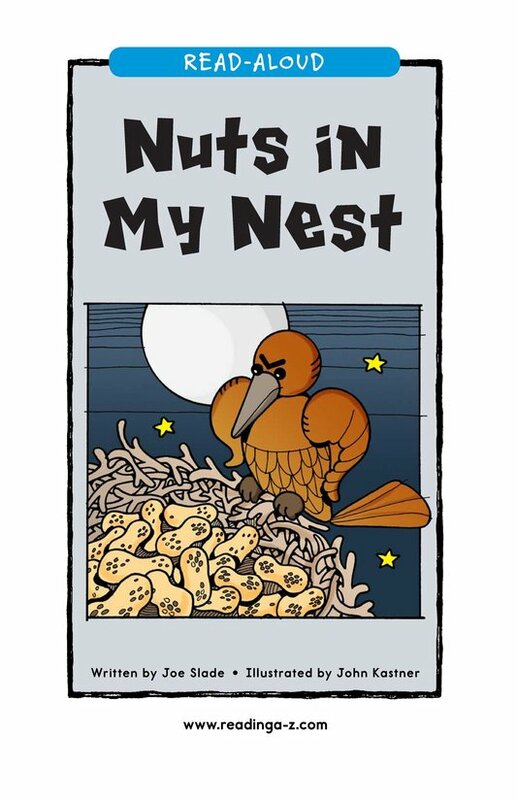 However, when the owl gives Nicky a plan to catch the tricksters, Nicky discovers that his niece and nephew are putting the nuts in his nest. 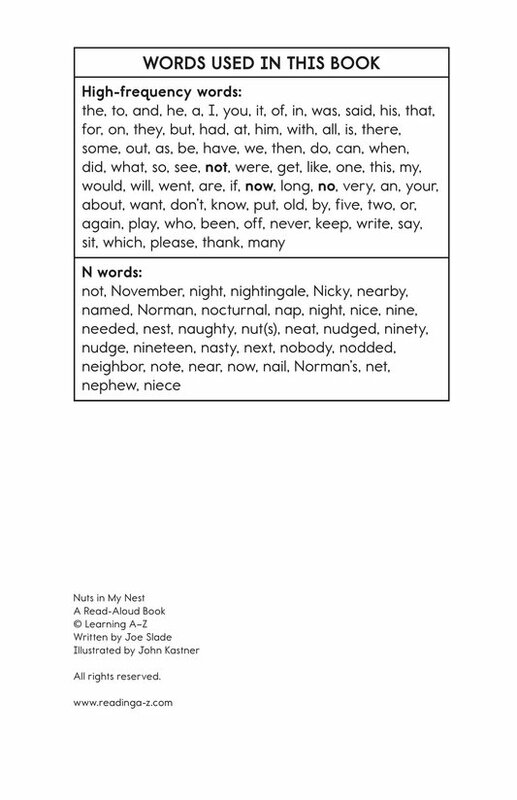 Introduce and expose students to the /n/ sound represented by the letter n.